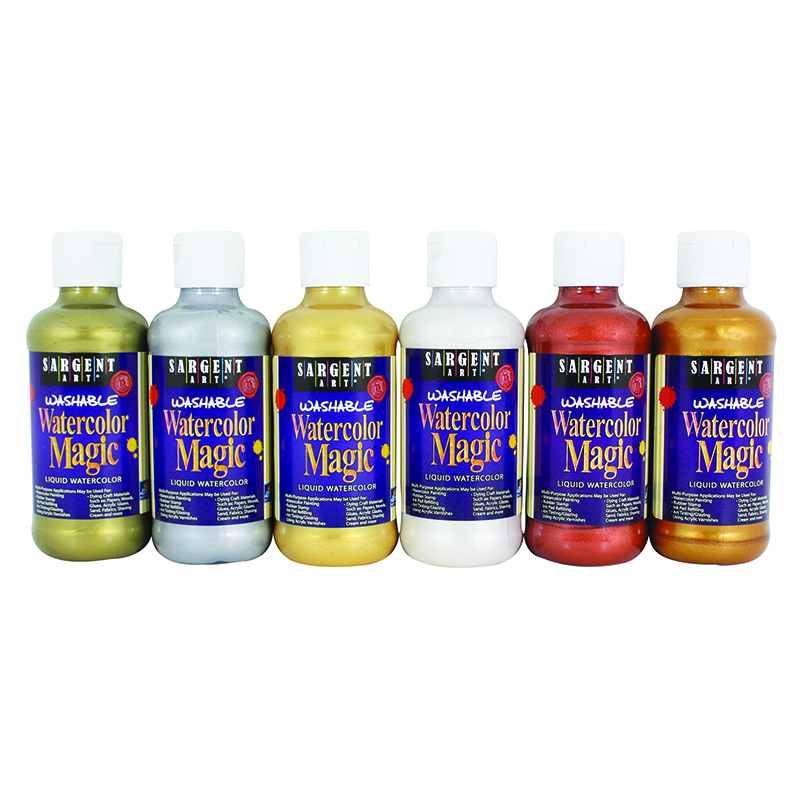 Watercolor Magic ® has six brilliant & shimmering "Metallic Liquid" Watercolors, These colors add dazzling detail and eye-catching special effects to almost watercolor painting or paper crafting project! 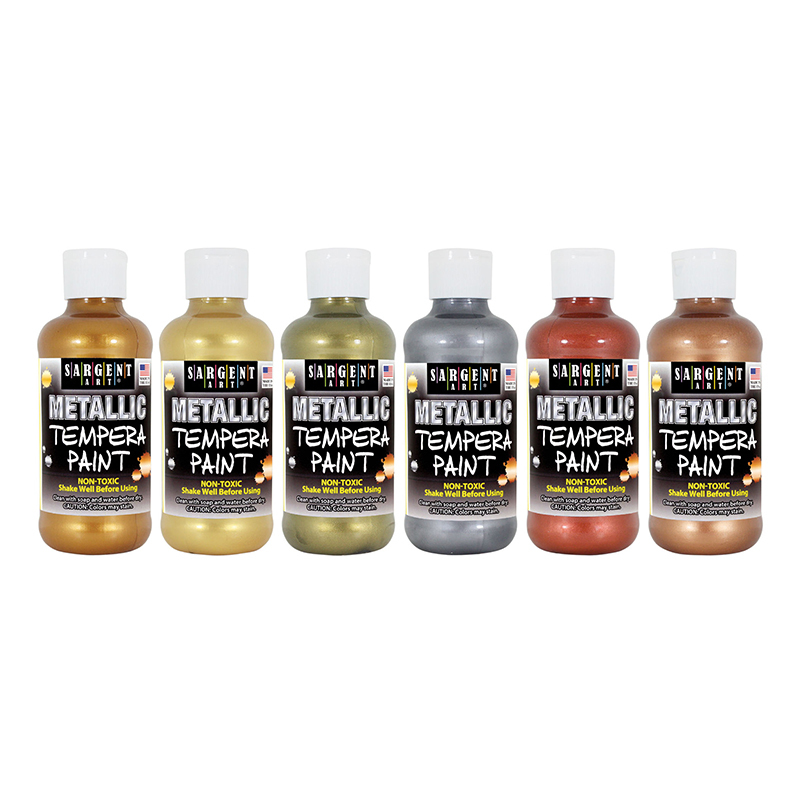 Comes with six metallic colors, including : Pirate Gold, Gold, Antique Gold, Silver, Copper & "Lustrous" Pearl White. 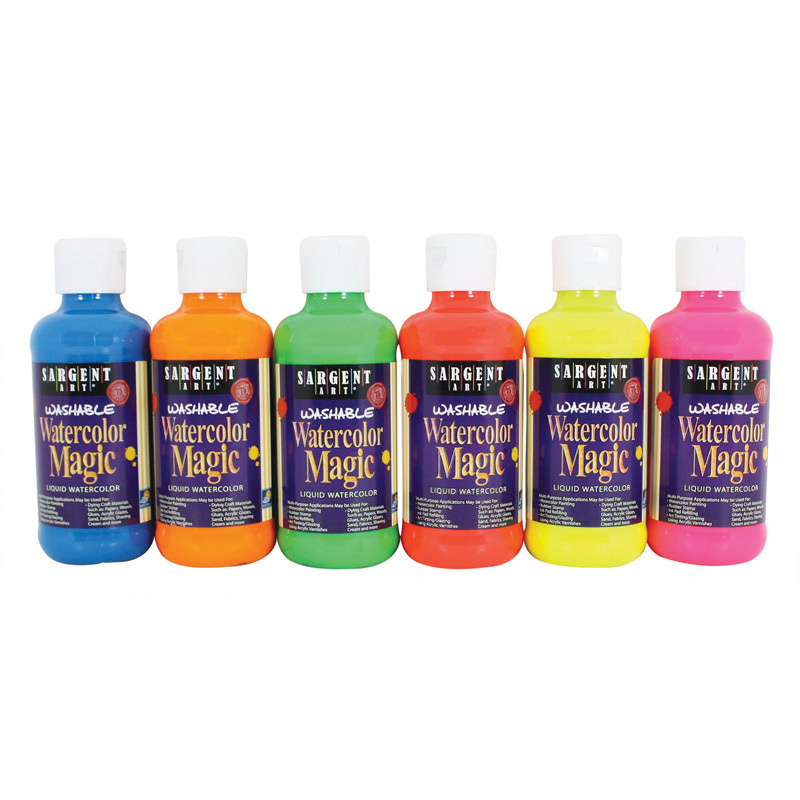 Each rich color is packaged in 8 oz. 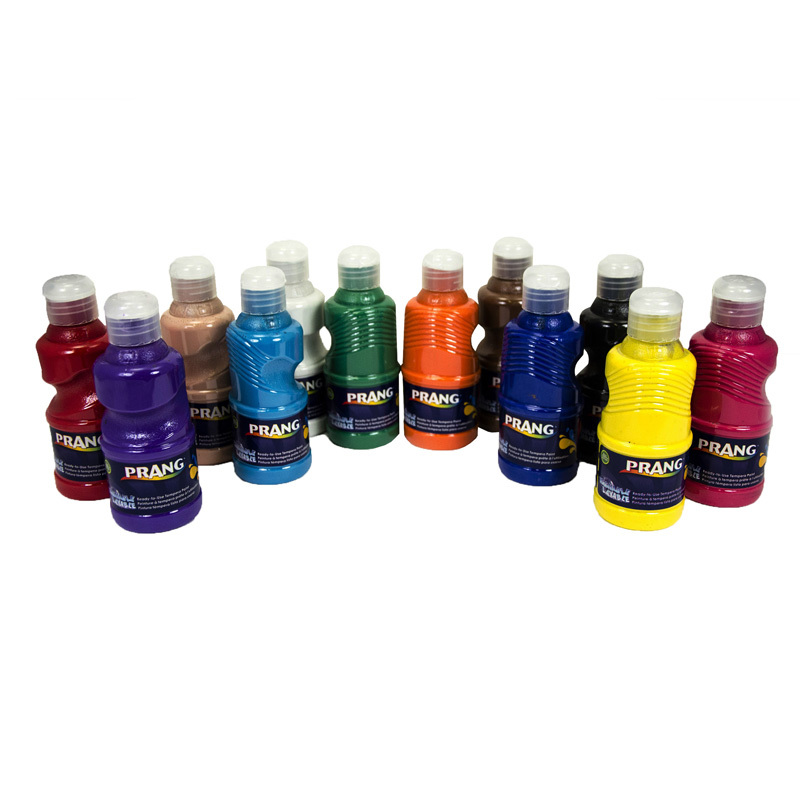 clear plastic bottles. 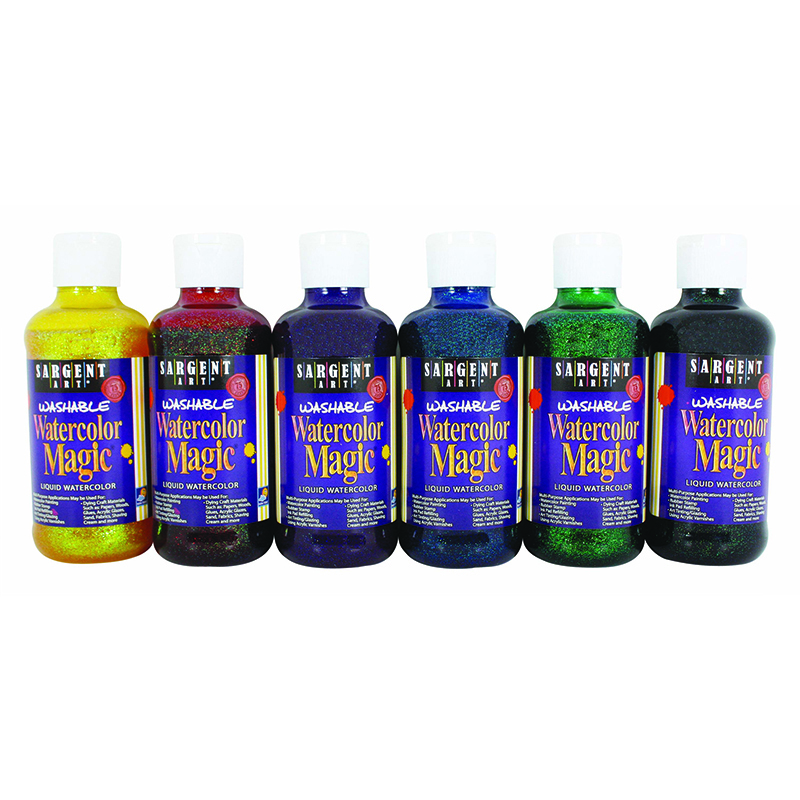 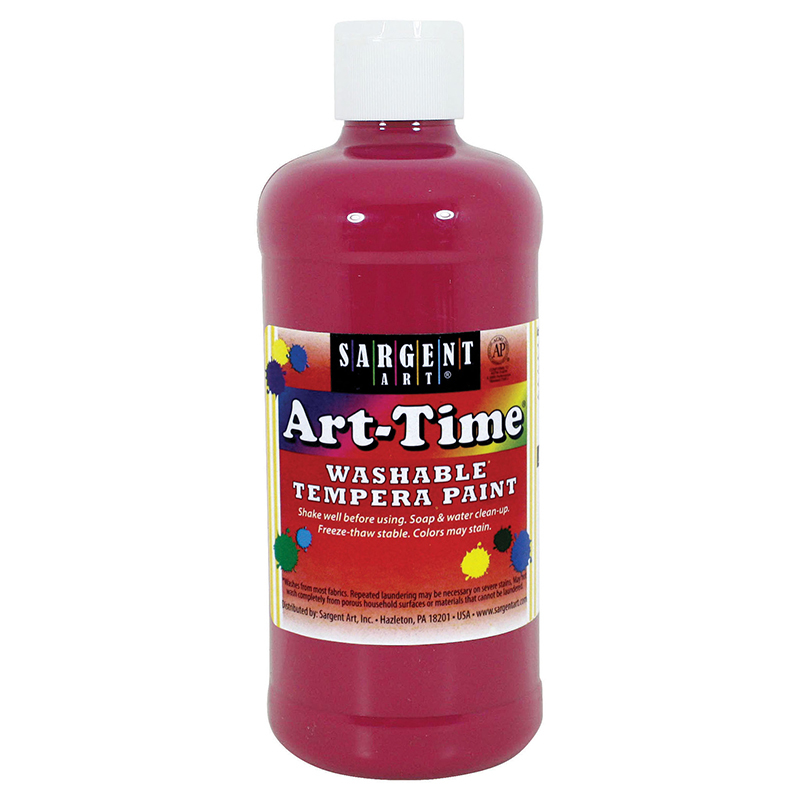 The Metallic 6color Washable Watercolormagic Assortment can be found in our Paint product category within the Arts & Crafts.